We have the most advanced laser treatments for all kinds of skin problems. Our Iriderm Laser and Fotona ND Yag Laser are used for treating blood vessels, cherry angiomas and rosacea, while our Light Sheer Laser removes unwanted hair from your upper lip, chin, under your arms, legs… virtually anywhere! 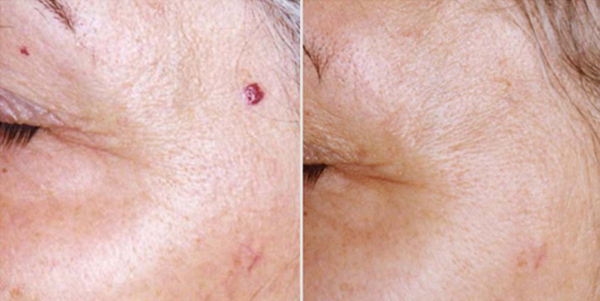 Iriderm laser removes small blood vessels, cherry spots and sun spots. 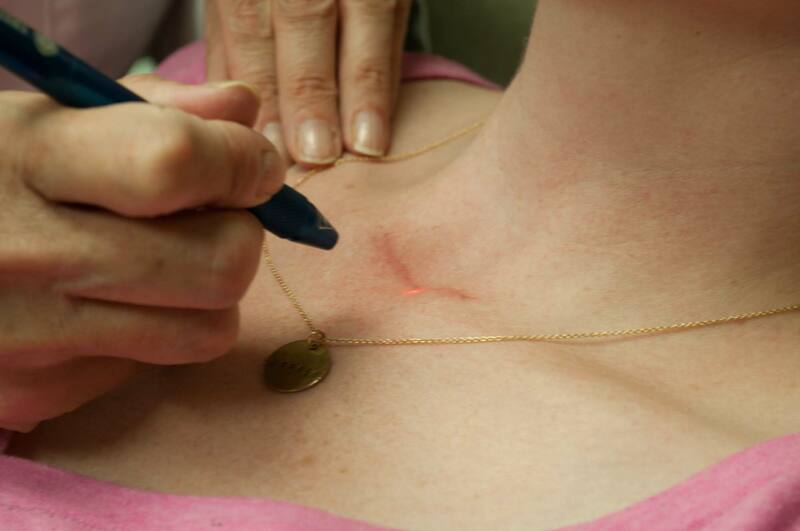 The laser generates an intense pencil thin laser of light that is directed at the spot. With blood vessels and cherry spots it has an almost immediate effect while the sun spots turn brown and eventually flake and peel off. Laser Hair Removal – Live Hair Free, Care Free®! Get rid of unwanted hair with our state-of-the-art Light Sheer Diode Laser. It directs the laser energy into the hair root while protecting and cooling the skin’s surface. Come in for a free consultation and Live a Hair-free Care-Free Life®!